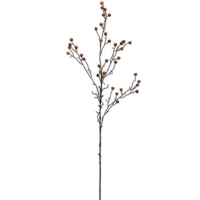 You must add a minimum of 12 40 Inch Artificial Crab Apple Spray Red's to your cart. 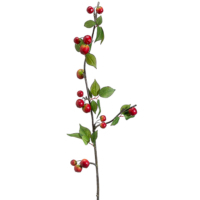 Realistic fake crab apple spray with leaves. Made with the top quality materials for, resulting in a realistic look. In fact, Amazing Produce offers the best color combination of green and brown carb apples. 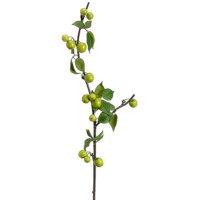 Surely, artificial crab apple sprays from Amazing Produce will bring charm to your surroundings. Amazing Produce brings a mixture of artificial crab apple from the autumn colors that are attached to strengthened stems to make an attractive mix of fall harvest hues. The spray can be bent and warped. As a result, there are endless possibilities. 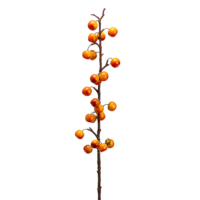 Order online for realistic looking crab apples.